Onions in lemon is new to me.. Looks good though.. B&W picture looks great! 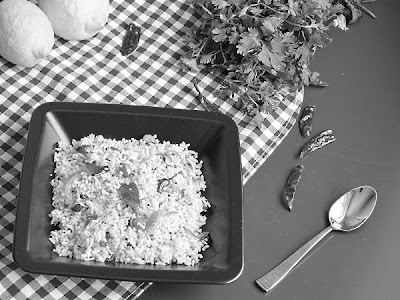 I love to eat Variety rice..One of my Favorite..Nice clicks. As you rightly said..it's yummy and easy to make..above all it is delicious ! i too fall in first category :) i love to have it with potato poriyal.. my grandma prepares it well.. 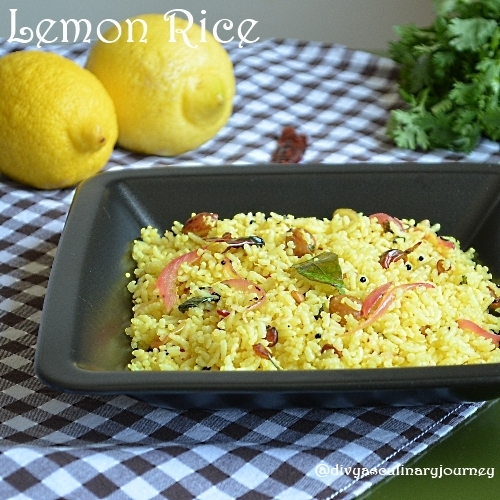 I absolutely love lemon rice and this looks so gooooood! 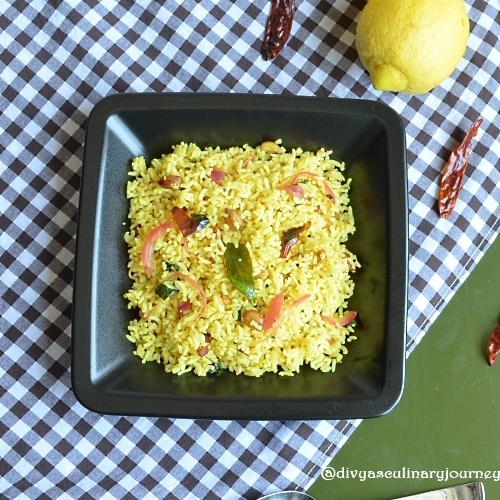 very comforting and yummy rice preparation. I can survive for many days with this rice,my all time fav. One of those meals that you can rustle up in a jiffy, but yet have to be careful with the addition of lime. I have made quite a mess of this at times! This looks delicious! I like the way you have used onions here.